[13-Dec-18] PACE is NASA's Plankton, Aerosol, Cloud, ocean Ecosystem mission, currently in the design phase of mission development. 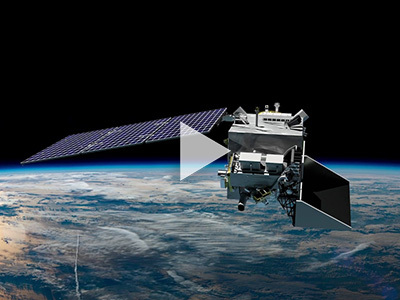 It is scheduled to launch in 2022, extending and improving NASA's over 20-year record of satellite observations of global ocean biology, aerosols (tiny particles suspended in the atmosphere), and clouds. This rendering shows a flyby of a model of the PACE spacecraft as it orbits Earth.